Toyohara Kunichika (1835-1900) Onoe Eizaburo as a Woman Playing the Shamisen, 1864. Oban. 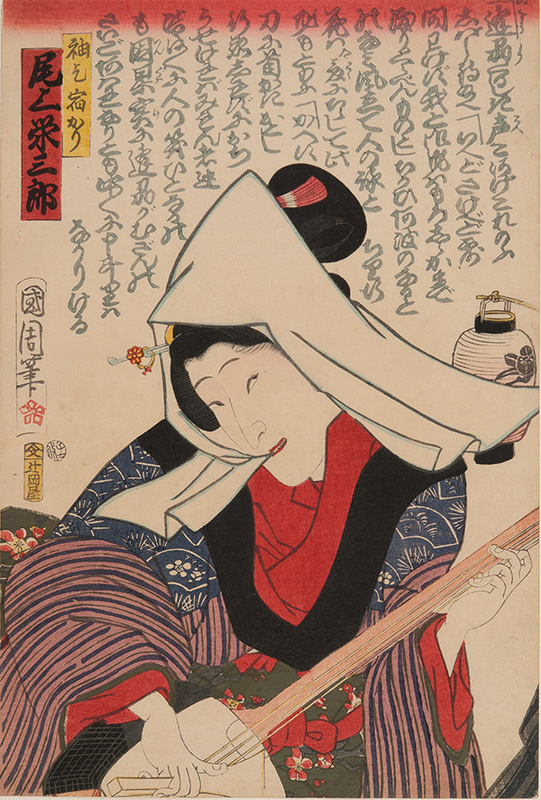 This very fine early kabuki subject by Kunichika depicts the actor Onoe Eizaburo as a woman playing the shamisen, a three stringed instrument like a guitar. It is a fine and delicate piece of drawing and design with nicely graded shading to the background and Kunichika yet to achieve his mature style. The print is the left hand sheet of a triptych of which the centre sheet will be available shortly.